A Fur Seal Taking the sun at Grytviken. 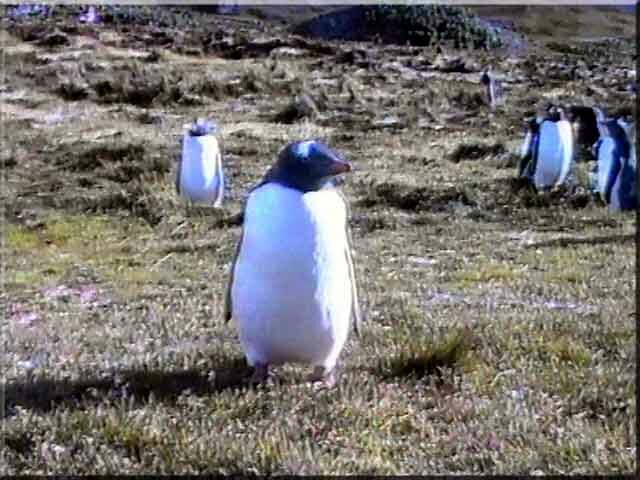 Even though there is a steady flow of tourism at Grytviken, lots of wildlife can still be found. 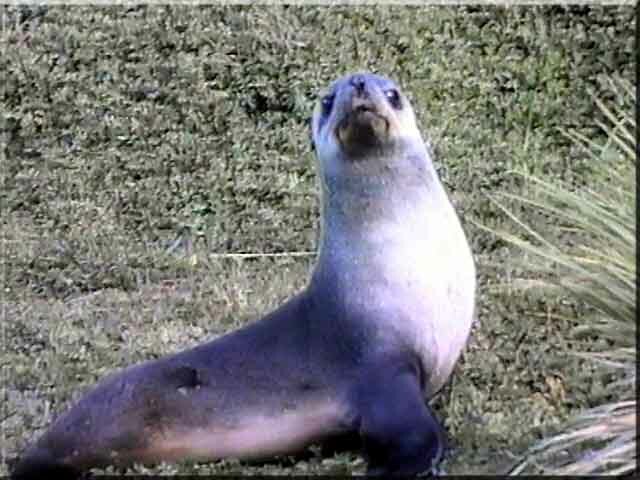 There are generally Elephant Seals, Fur Seals, Gentoo and King Penguins to be found. The animals do not seem in the slightest afraid. Spending much of their time in the icy sea, lazing about on the shore is a welcome break. 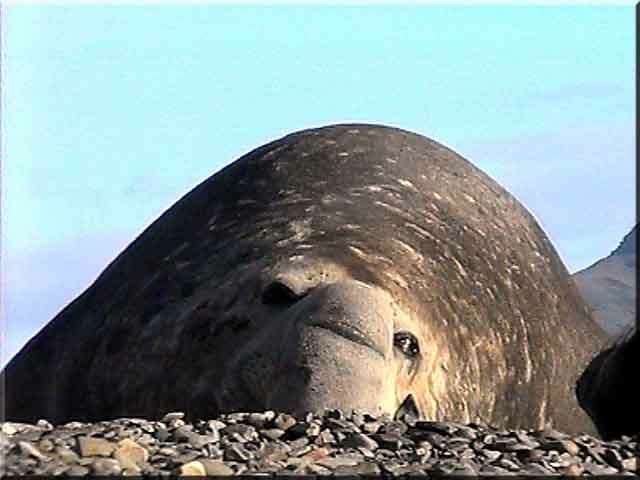 Elephant Seals are known to dive to depths of up to a mile while feeding. The thick layer of blubber keeps the cold out, the main blood vessels being beneath it. When it is time to shed the old skin, the blood has to reach the surface and most of this time will be spent out of the water or in the shallows. 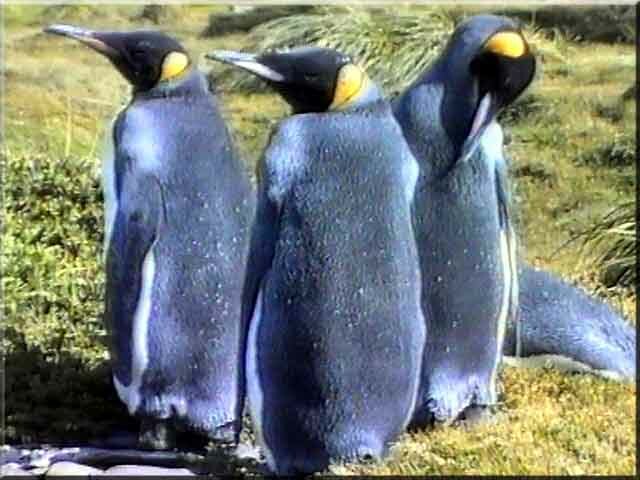 The animal is very susceptible to the cold during the moulting period. 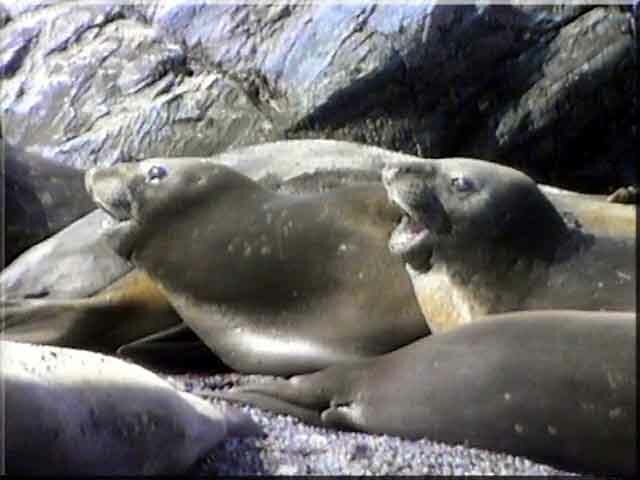 Females and immature males are found in great number on the beaches and foreshores around Grytviken. People visiting the cemetery have to watch their step as the seals can lie unseen to the casual observer in their wallows in the tussock grass. 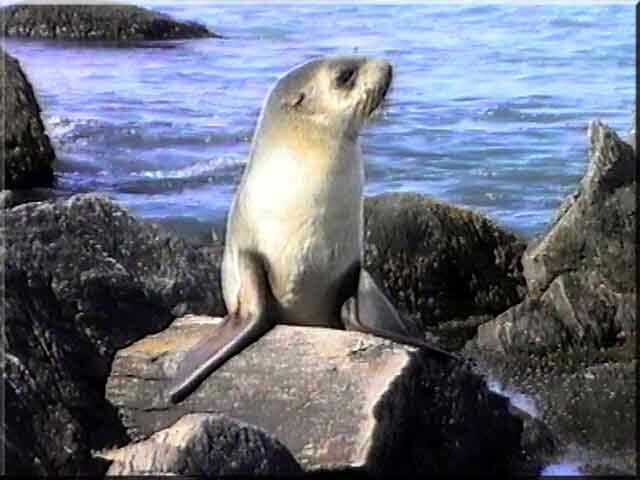 Fur Seals are usually found to be willing models, and like this one, pose quite happily. 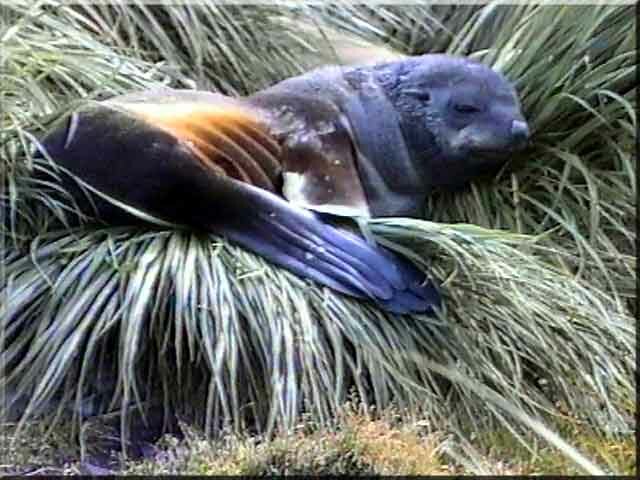 Or like this one, quite happy just sleeping in the tussock grass. 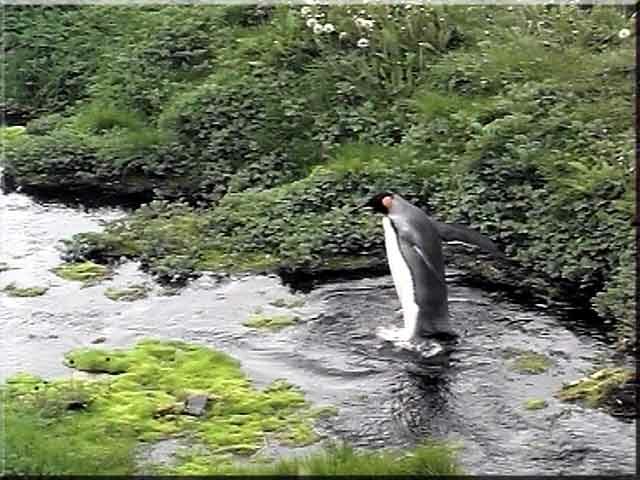 Some King Penguins preening on the grassy foreshore just down from the cemetery. This chap decides to take a stroll down the stream that runs alongside the cemetery. A Gentoo Penguin takes a rest in the sun on the foreshore along from Grytviken. 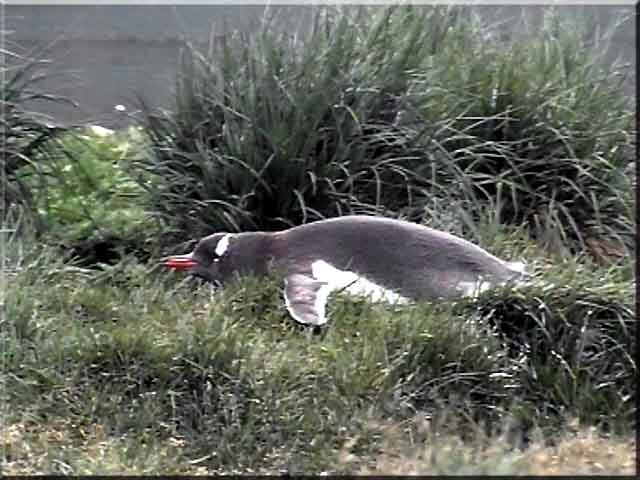 Like little men in dinner suits, the Gentoo waddle over the grass.